Always like seeing updates here, great work as usual! 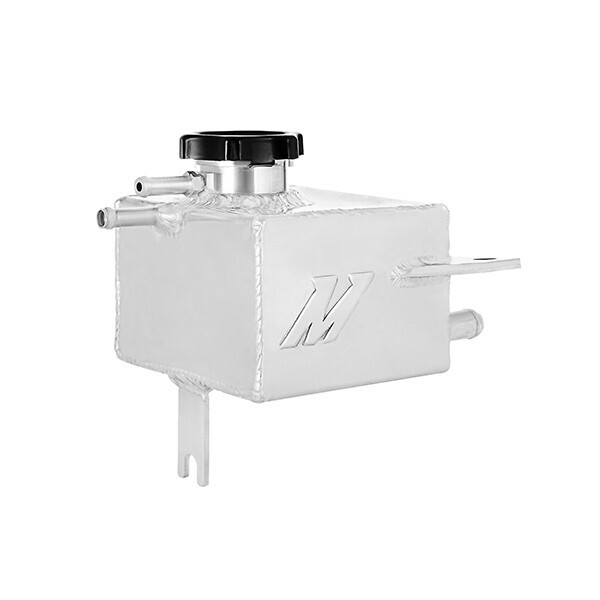 Have you tried a mk3 reservoir? Should be relatively easy to make one of those work, and it's small so would save quite a bit of space vs the B5 one. Since I'm an instigator of scope creep.... you could do an aluminum one and paint it to match the motor. Plenty of options out there to either make or buy one that fits where you want it to be. That would also give you options to go with a higher or lower PSI cap if want as well. that's why I said it! Both of my CQ's still have old crusty coolant bottles in them. I've had a new OEM one for my red car for 3-4 years now that I've been too lazy to install. That said, the crusty old bottle does look rather out of place next to Pat's shiny engine bay. It's definitely one of those "can't be unseen" things. 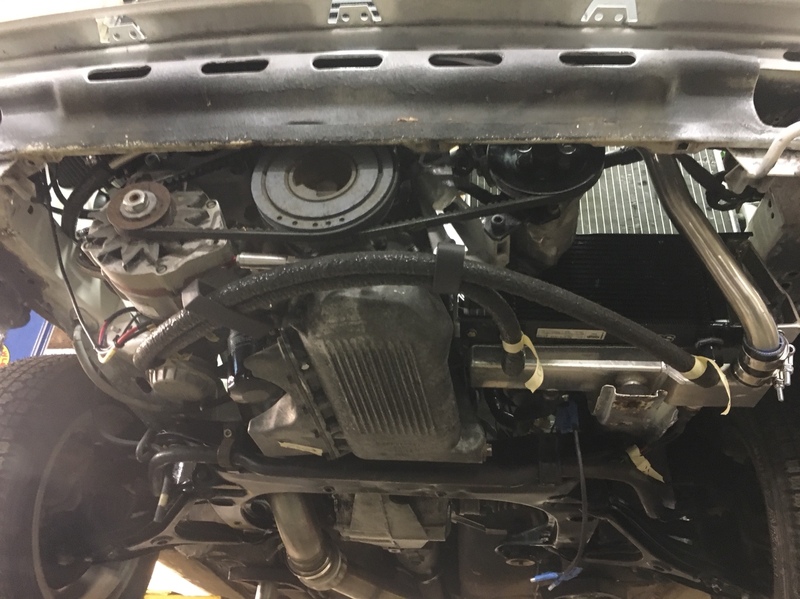 Once you notice one gross coolant reservoir, you notice them all. Subaru ones are pretty small, bet you could find a place to put one. Well two tries now and they were all wrong when I got them . So aluminum would be an option and I do love making stuff . Mill is down for a while means I can’t cut anymore aluminum bungs but that wouldn’t be too much an issue . It’s not pressing now though as my reservoir holds fluid . And I have other things to do/time is running out/work/life etc so that will wait a bit . I have an idea in my head looks somewhat like a works fuel tank though. So my love for working inside the car has brought me back , I got the steering linkage all out back together . 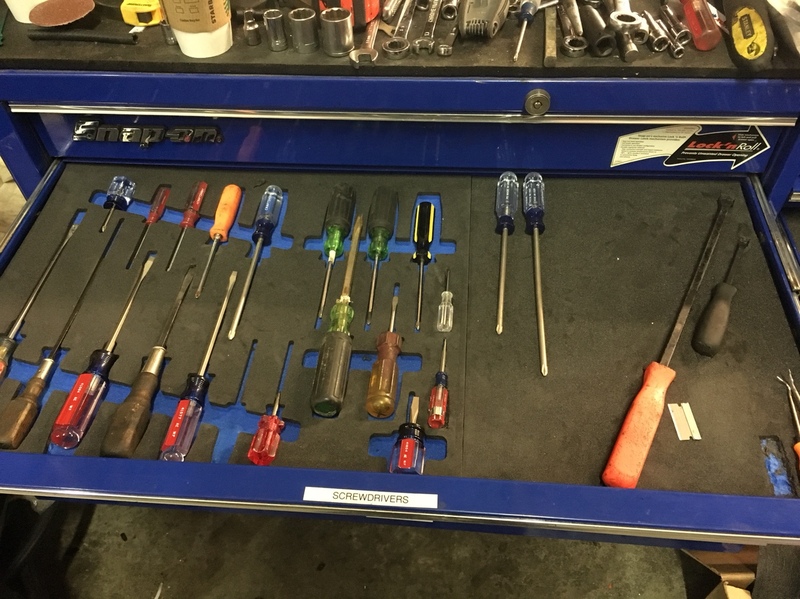 It was removed from the rack on , so now I have cleaned all the little splines and re assembled everything . 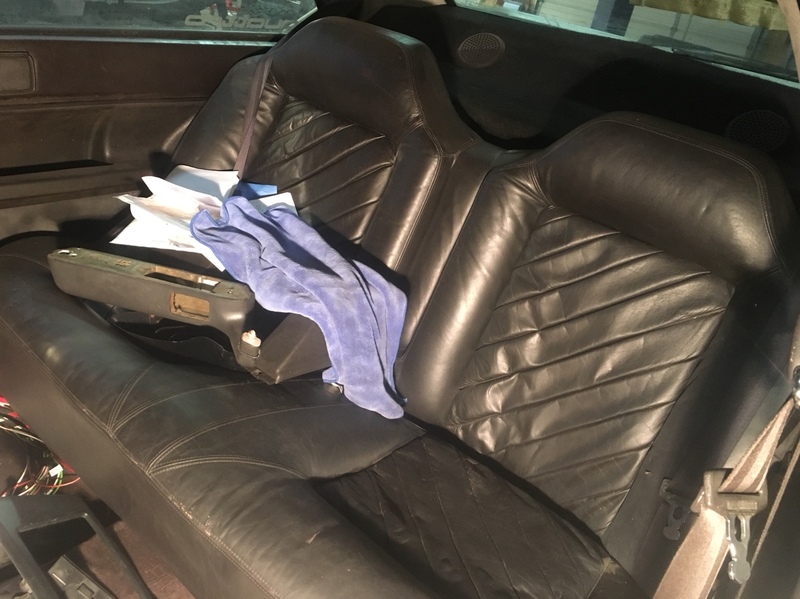 Interior is slowly going to start getting better . Last edited by Afterthought on Mon Mar 12, 2018 8:46 pm, edited 1 time in total. Thanks ! It’s coming along . 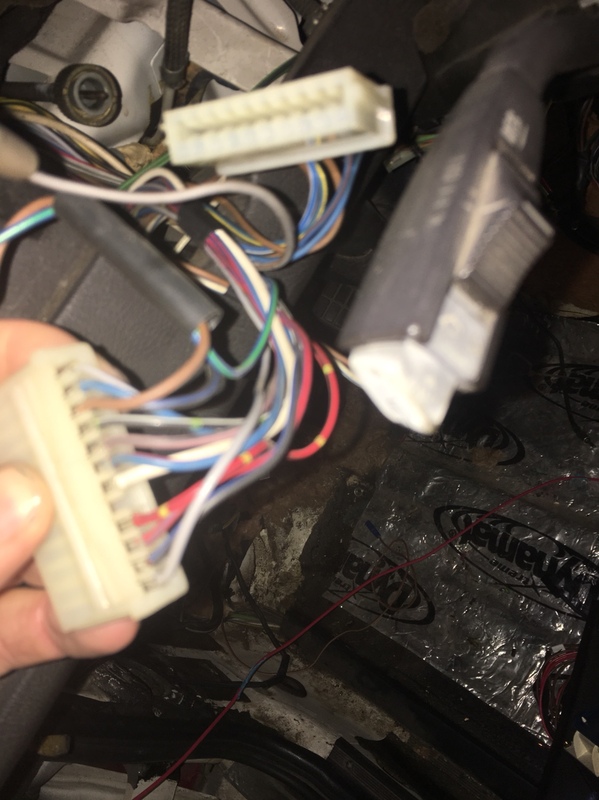 Connected the 12V power to ECU and starter wire today run from the original location in the fuse box. 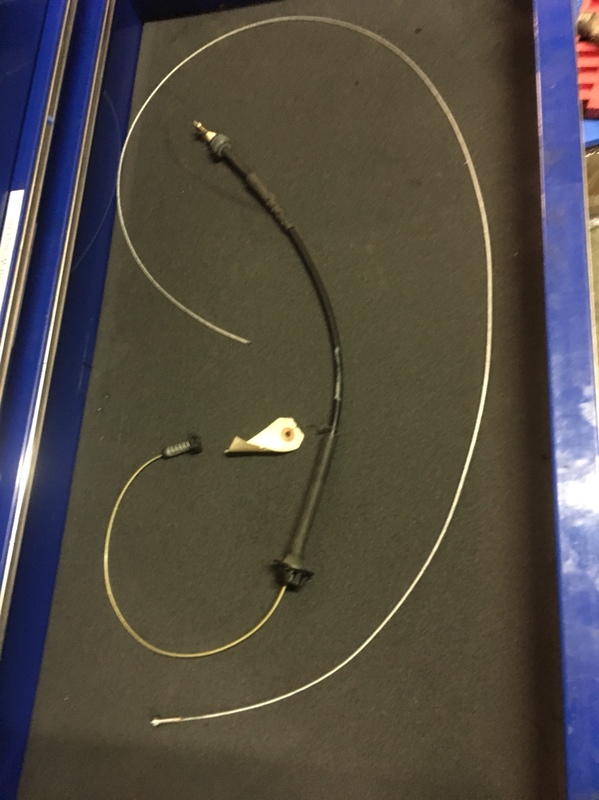 So that takes care of two of the stock wires I needed to figure out . 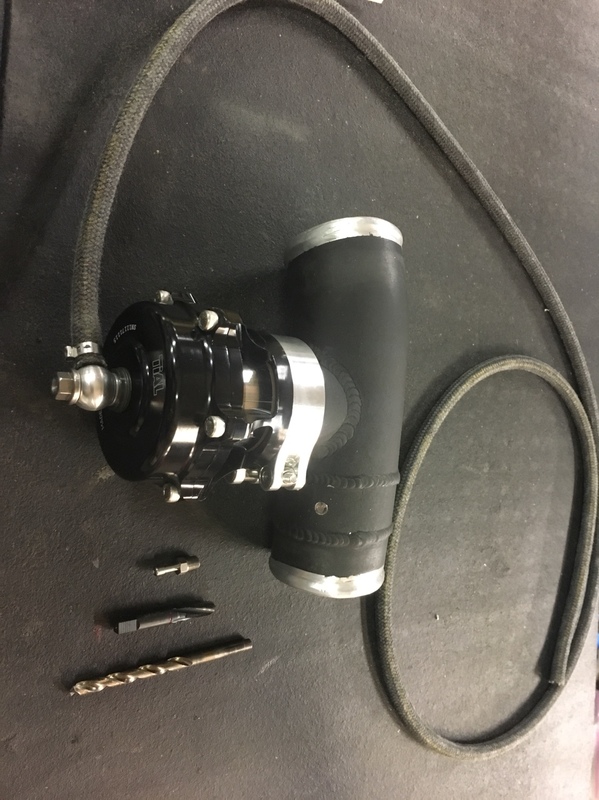 Starter comes from the E plug. Was looking at this today and don’t know why I didn’t notice it before . The Indy turbo does not have a spot on it for the reference line where boost is provided to the N75. I’m wondering if anyone has run in to this before. Thinking the easiest solution would be to take it off and tap it , find a suitable banjo bolt with a barbed fitting . 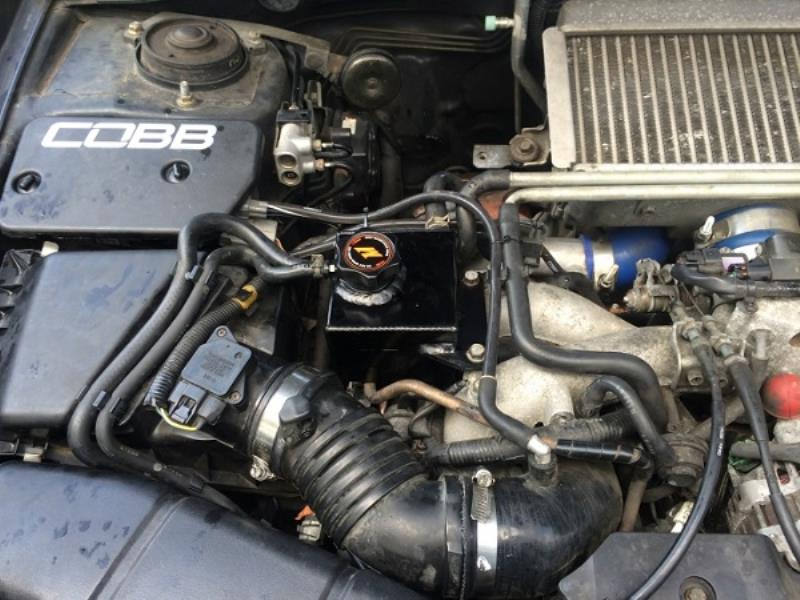 I could run it from the intake manifold but I don’t know if that would have some sort of delay or not ??? 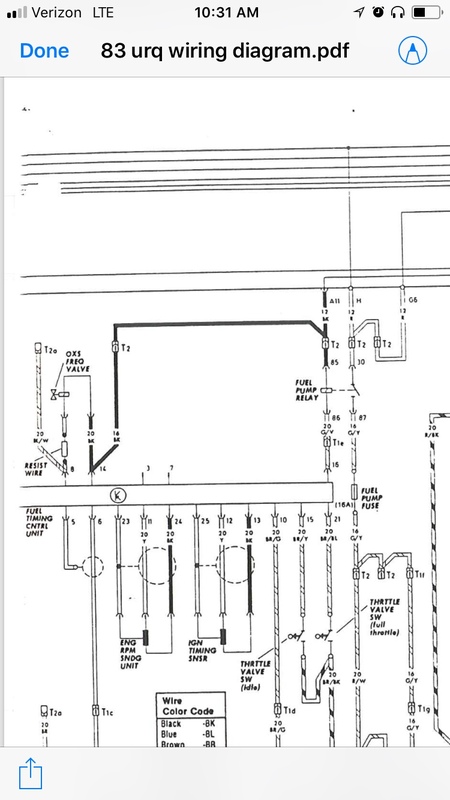 I’m trying to work on the layout for all the vacuum lines and what not and figure out what does where . Might run that line to the N75 off of the charge pipe . As I’m afraid to tap the turbo housing . THere isn’t a flat spot on it anywhere . 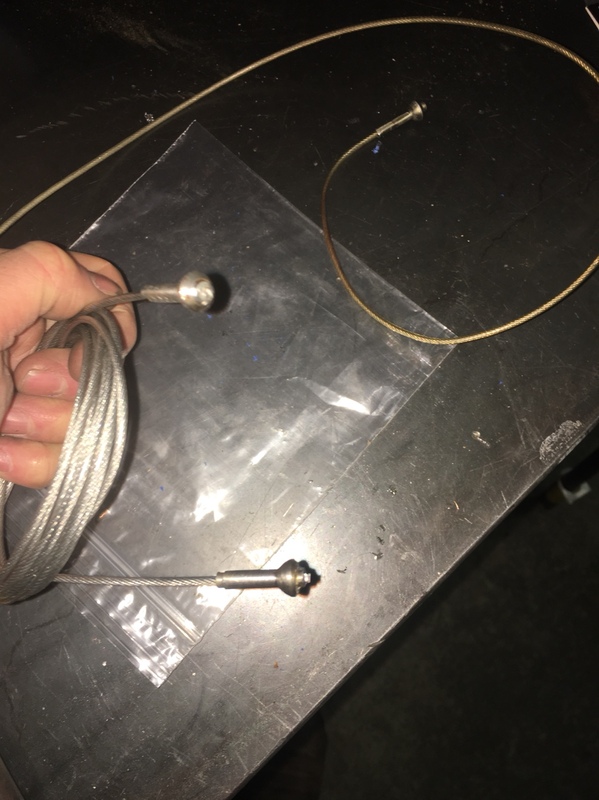 Throttle cable solution , found some coated cable and made my own ends . 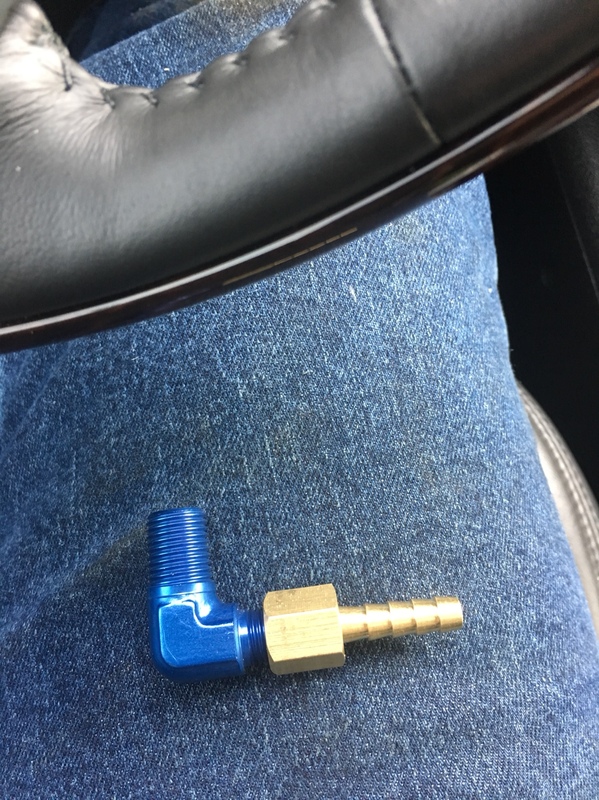 Now I can use the proper housing from a carbureted 80 and have my own length . Good problem solving, I like the detail. 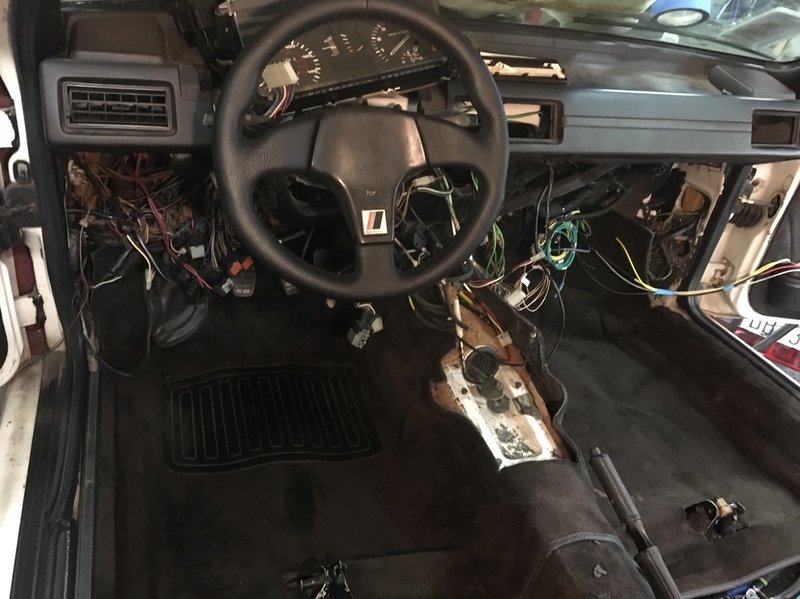 Worked on the wiring a little . 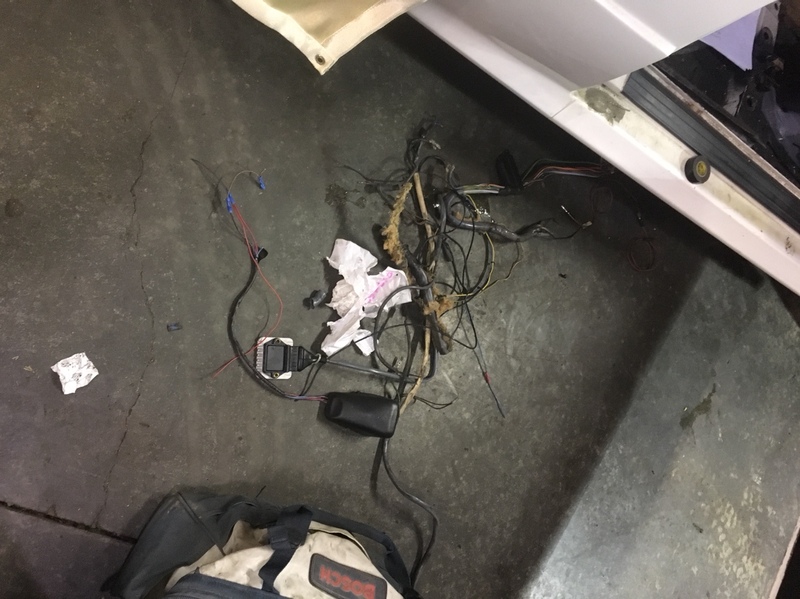 Still hate wiring . 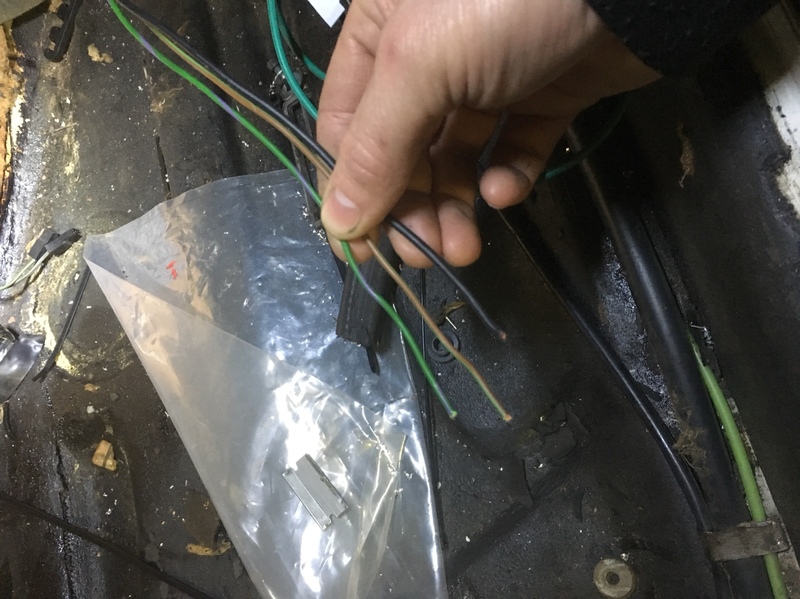 I started tracing these three wires back from the ECU to the drivers side . 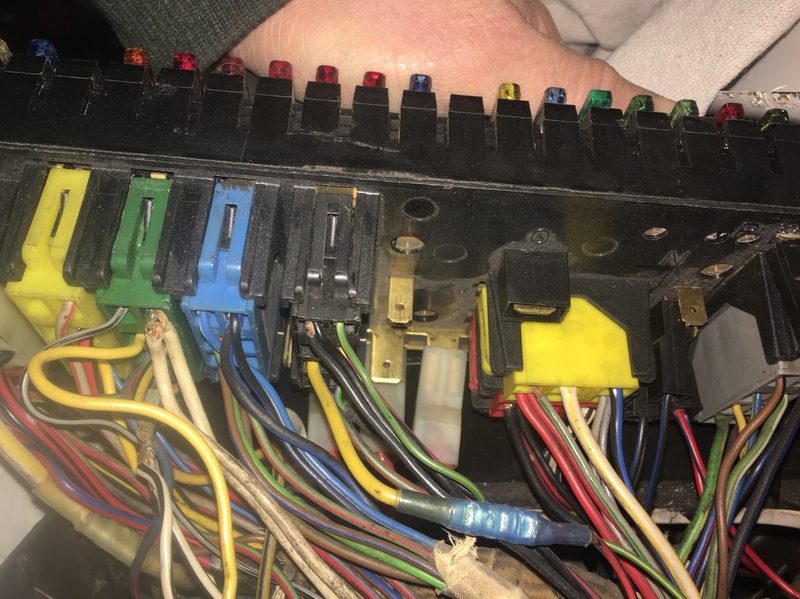 Green/violet - runs through a white/red plug then a green plug under the dash, then eventually to the black “B” plug on the fuse box , CEP pin S on the black plug. THis should tell the fuel pump relay to activate . 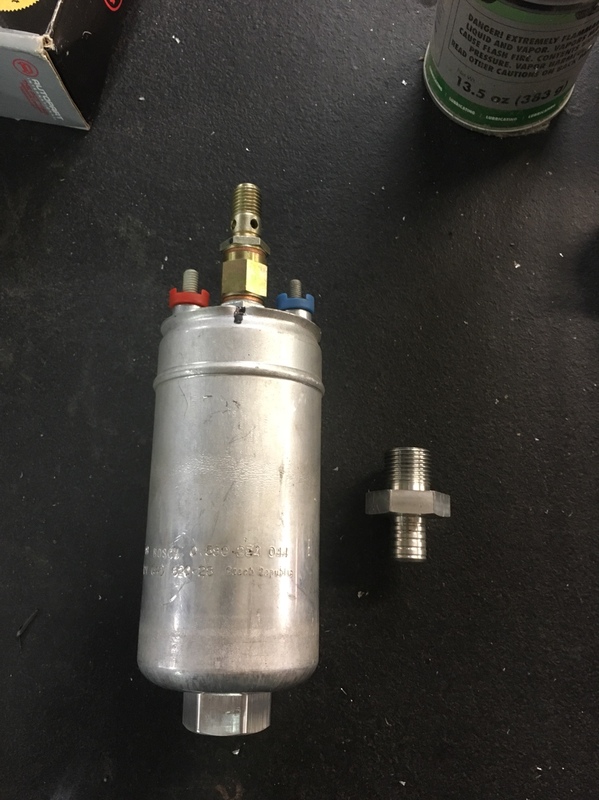 This is where I’m going to connect my fuel pump signal I think . 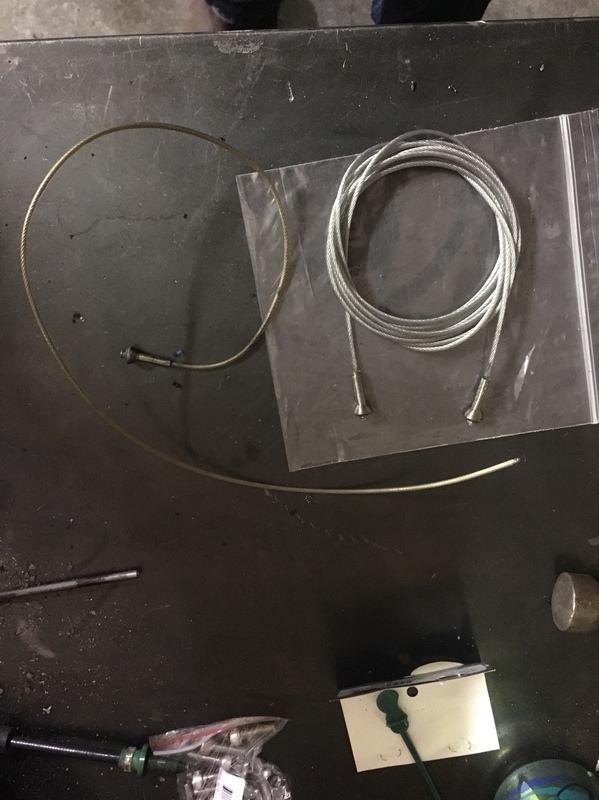 So if I have the idea right the fuel pump wire from the vems econoseal ECU will trigger the factory fuel pump relay. But I’m not sure because I think it’s already relayed inside the harness . 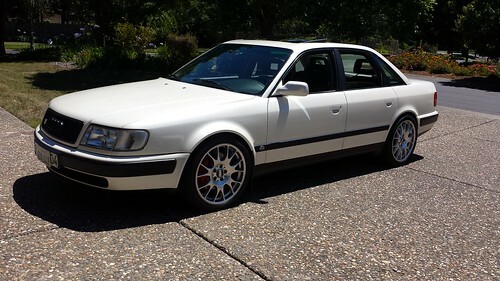 Next I need to find a suitable spot for +12v supply to the ECU , maybe from the ignition switch ? 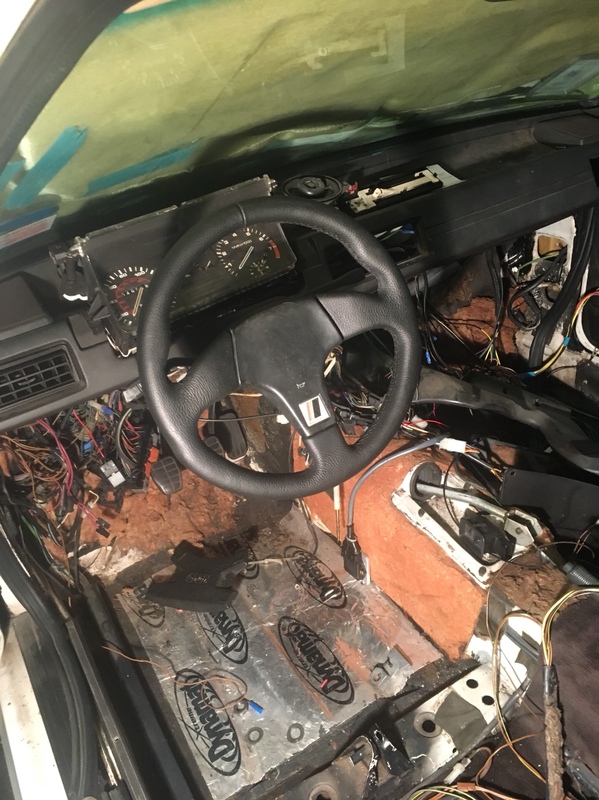 Hope to get this wiring out of the way soon so I can get the interior put in. 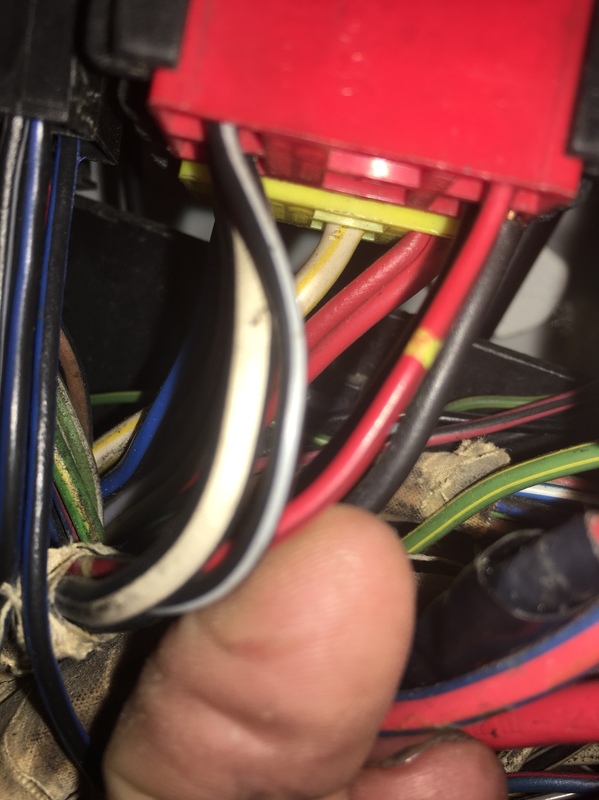 I can't read your diagram (pic is too small/fuzzy) but yes, the fuel pump wire from the Econoseal will ground the factory fuel pump relay closed. 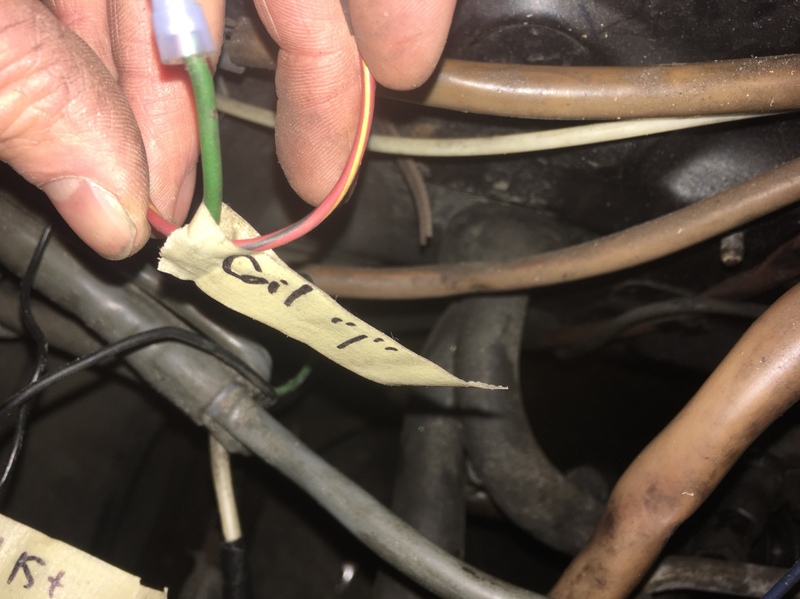 There should be a switched ground that went to the original ECU, and that wire should just go to the VEMS fuel pump relay circuit. HOWEVER- I really, really wouldn't use the factory Econoseal Fuel Pump circuit. It's a very weak circuit (a P259) and can actually be pulled shut through the relay under high amp fuel pump operation. 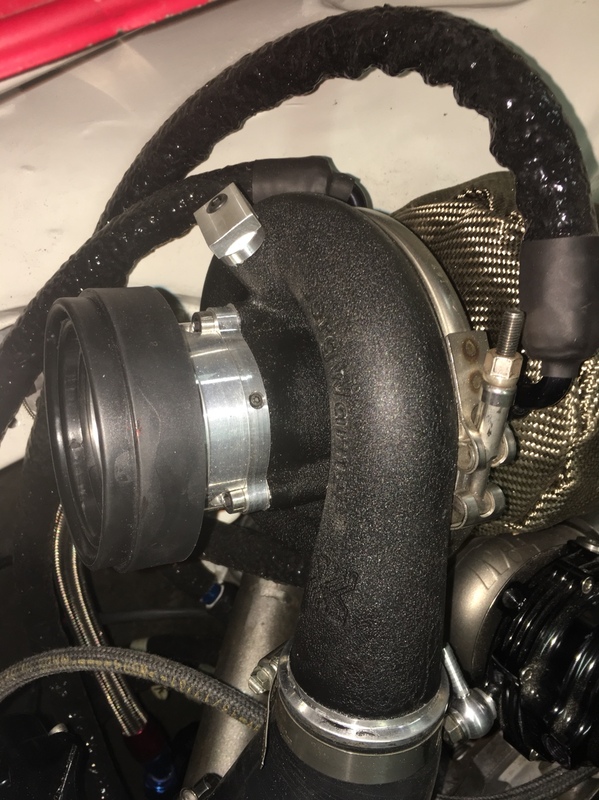 Marc and I had to troubleshoot this on his dyno; when I got over 20psi and my fuel pressure demanded higher amps from the pump, it would just pull the whole circuit shut and kill the motor. Key off/on and it was fine until we hit the same boost again. Solution was to switch fuel pump triggering to a spare injector output. 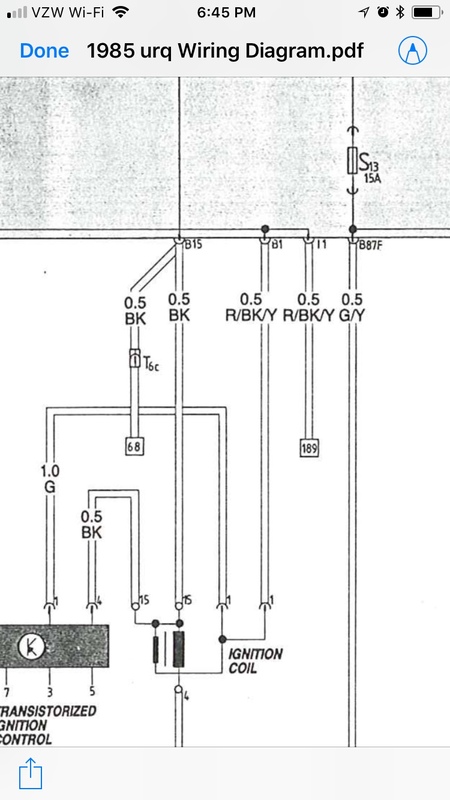 I did not know about issues with the VEMS relay. I don’t have any diagrams for mine to see how it’s set up but I could call Marc to ask exactly . He made the full custom harness for me with relays and all. With pulling power directly from the battery and starter circuit I would think I wouldn’t have any issues with voltage drop - but maybe I’m not understanding what causes is to pull closed . 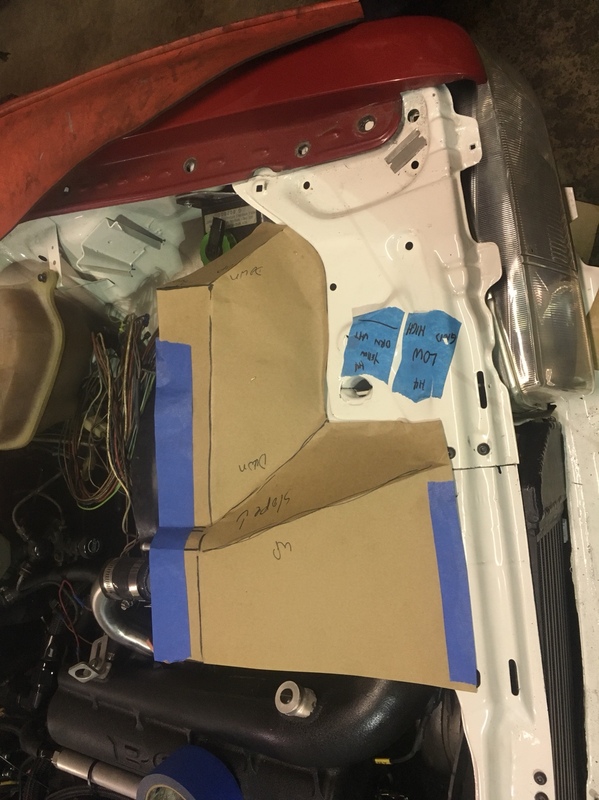 THe last thing I have to figure out, interior wiring wise. One wire left to go. I’m trying to trace back where the RPM signal gets to the cluster . Starting at the cluster , red/blk/yellow wire. Runs from there to the red plug pictured above , “I” plug pin 1. But I don’t know how it gets to that plug. Tracking things back the only other red wire with black and yellow stripe runs from the interior of the car to the coil . 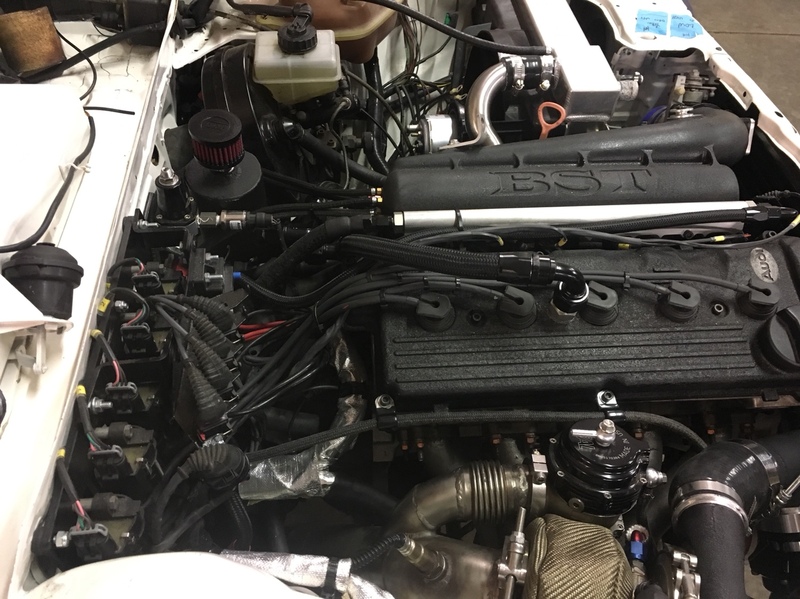 Traced that one and metered out from the engine bay to plug “B” pin 1 . Afterthought wrote: I did not know about issues with the VEMS relay. I don’t have any diagrams for mine to see how it’s set up but I could call Marc to ask exactly . He made the full custom harness for me with relays and all. With pulling power directly from the battery and starter circuit I would think I wouldn’t have any issues with voltage drop - but maybe I’m not understanding what causes is to pull closed . Think of it as a switch and a separate relay. 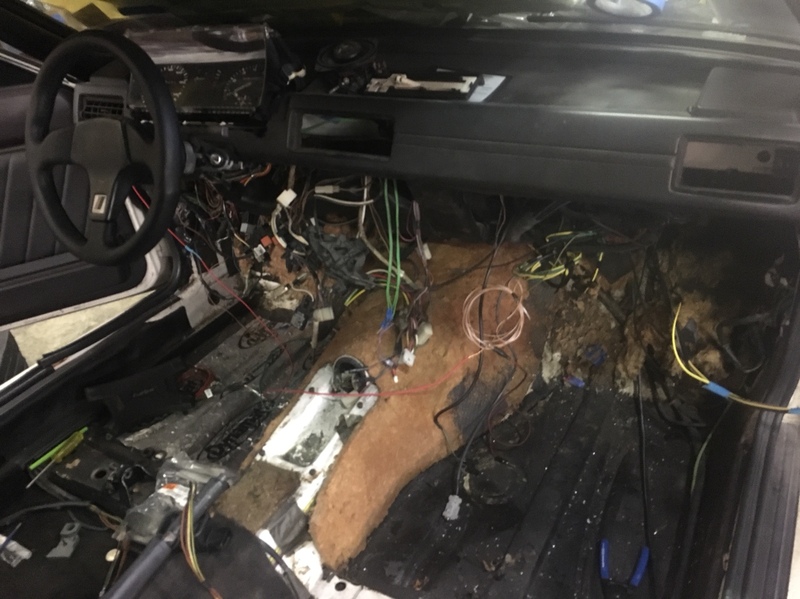 The relay that actually powers the fuel pump is the OEM wiring in the car. VEMS contains an onboard PNP driver, which is basically a small switch that opens/closes to ground. 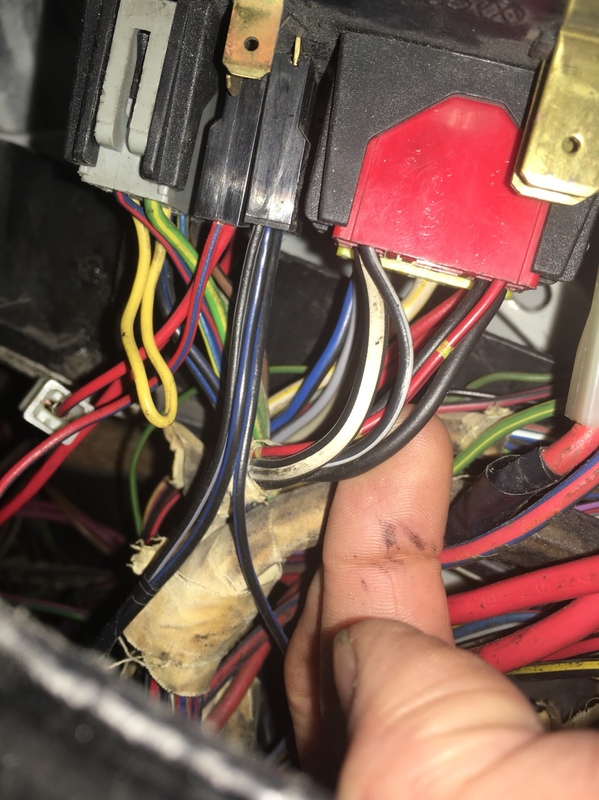 This onboard driver is what turns the OEM fuel pump relay on/off as VEMS sees fit. 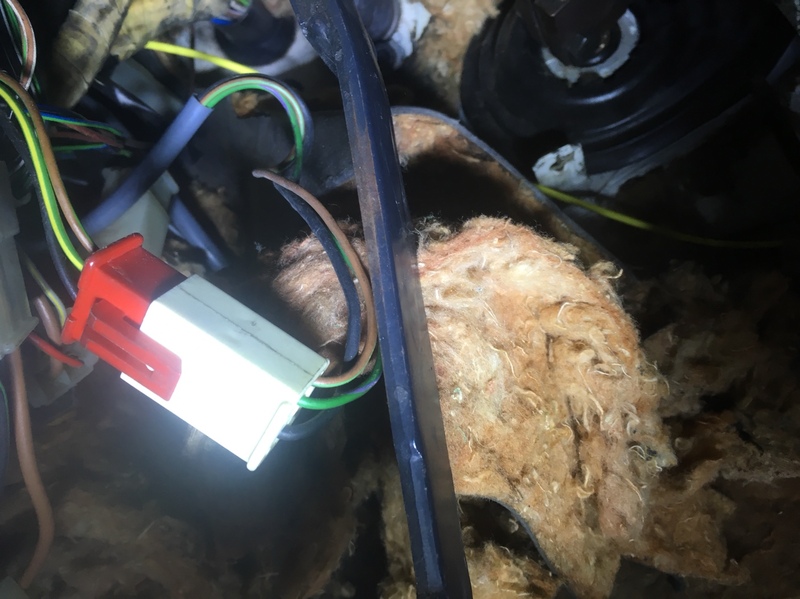 When pump voltage gets high enough, the internal resistance from the OEM relay can actually be enough that the onboard PNP driver can't keep the relay closed (on), so the fuel pump will lose power until you cycle the key. 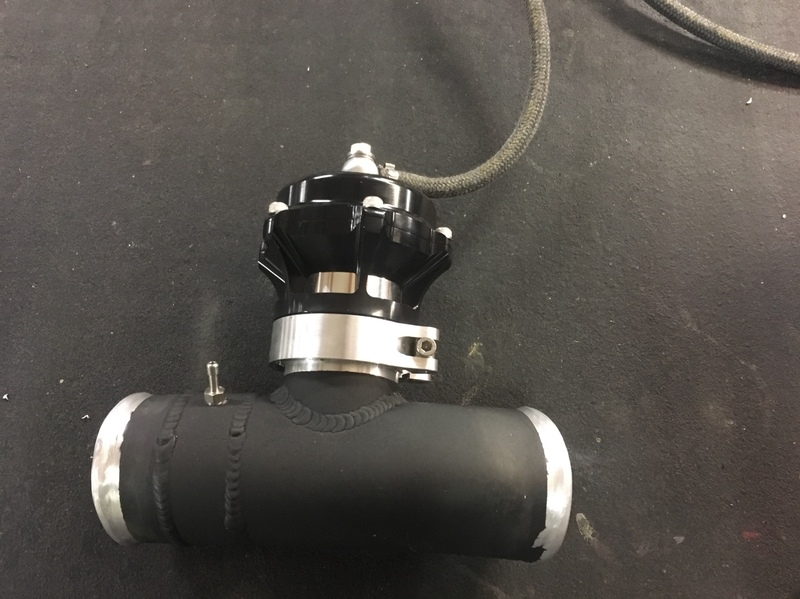 The solution is to use a stronger onboard driver like an injector or ignition output. The VEMS factory spec'd PNP driver is just not strong enough to drive a fuel pump at full boogie and high boost. 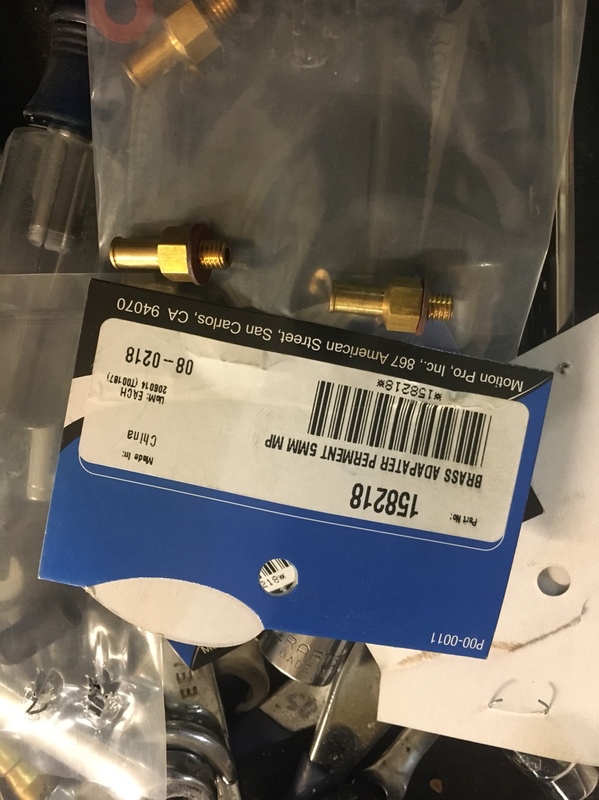 I've seen a few people have this issue, I'm sure there's ways around it through redundant grounding of the OEM relay or something, but it's probably easier to just swap around fuel pump output pins at this stage in the game and save yourself a potential troubleshooting/rewiring headache down the road. Last edited by vt10vt on Tue Apr 03, 2018 8:33 pm, edited 1 time in total. 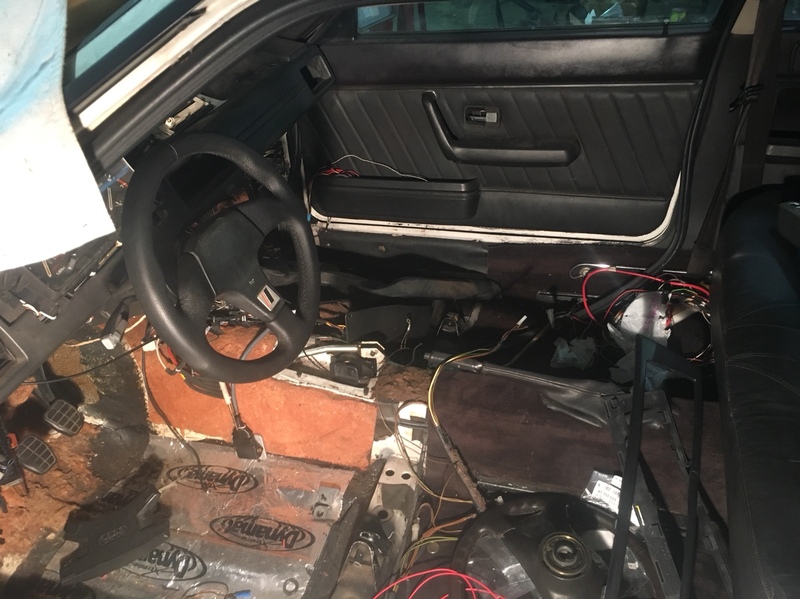 Interior is starting to come together - the joys of chasing Audi wiring in particular has no bounds!! FFF wrote: Interior is starting to come together - the joys of chasing Audi wiring in particular has no bounds!! Yeah... I’m still learning how to read the diagrams but I have learned a lot . 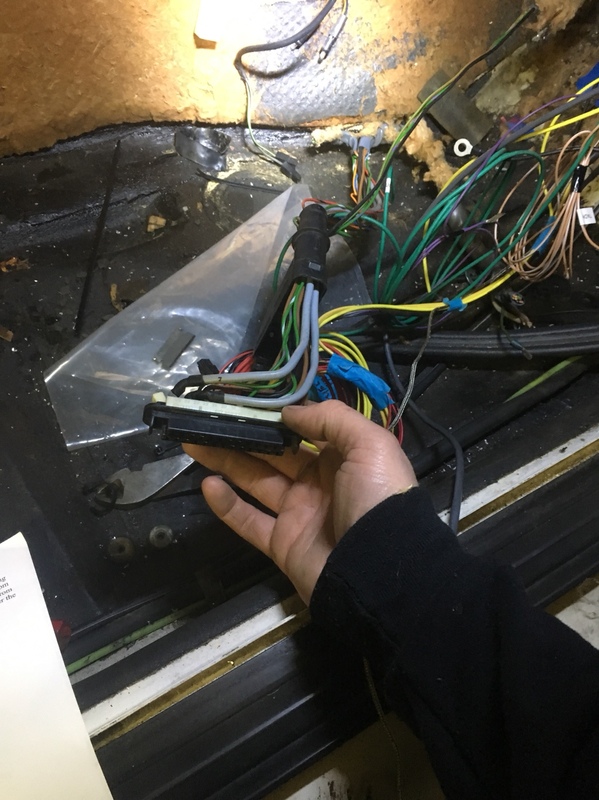 Not sure If it’s me or the diagrams but I think this particular car has really been a challenge being that it was one of the first to have an underhood fuse box. I have found some discrepancies . 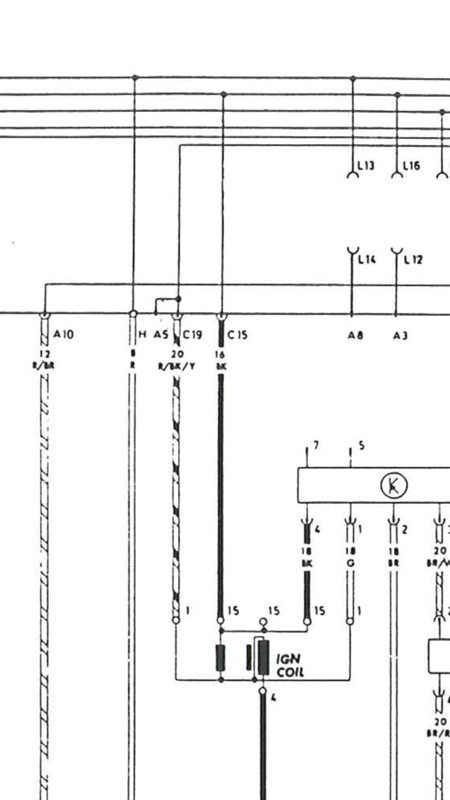 I’m working off of one 1983 wiring diagram and also a 1985 wiring diagram. And I think it’s kind of in between. 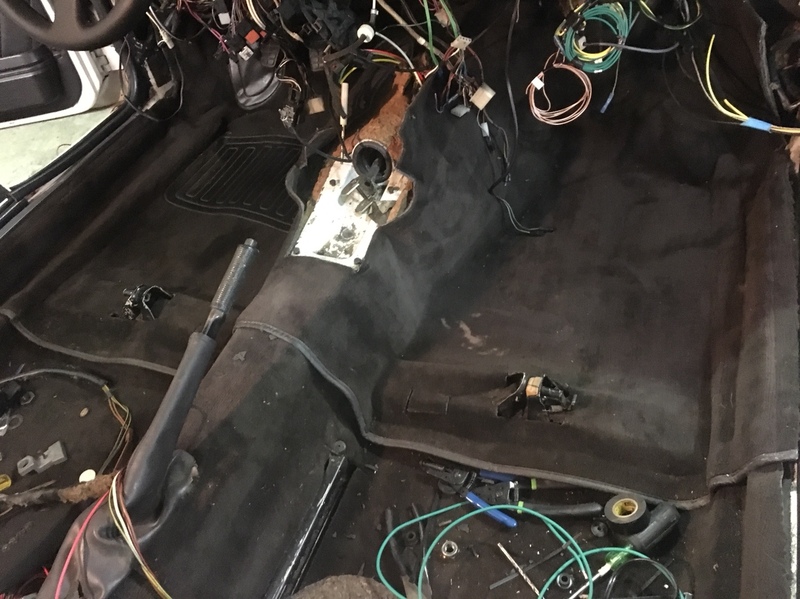 as I am looking at an upside down spare fusebox to see where wires come in to the right-side-up one in the car. But by the end of it I’ll be sure what I have and where . Additionally I am trying to cross check with this diagram and I’ve honestly only found a few differences in the B2 . 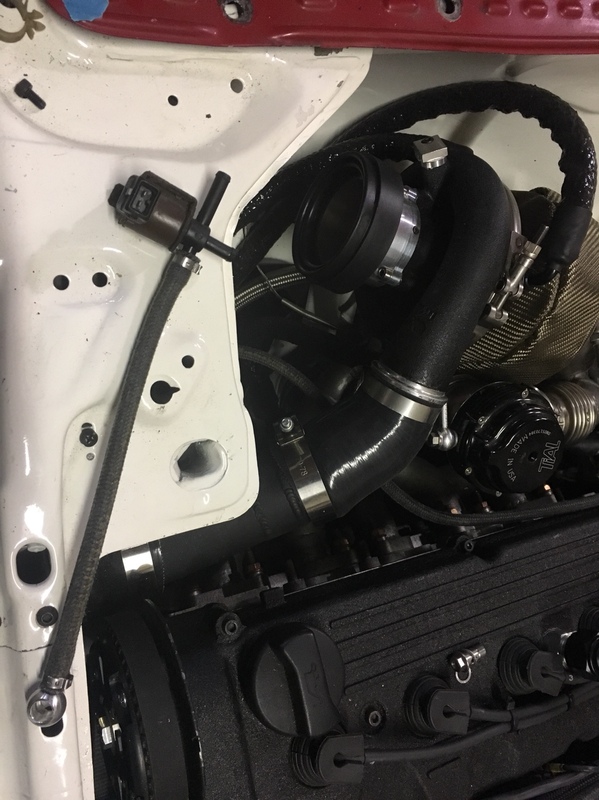 Oil lines mounted here for now . Will see how it looks once I get the bumper on and stuff . 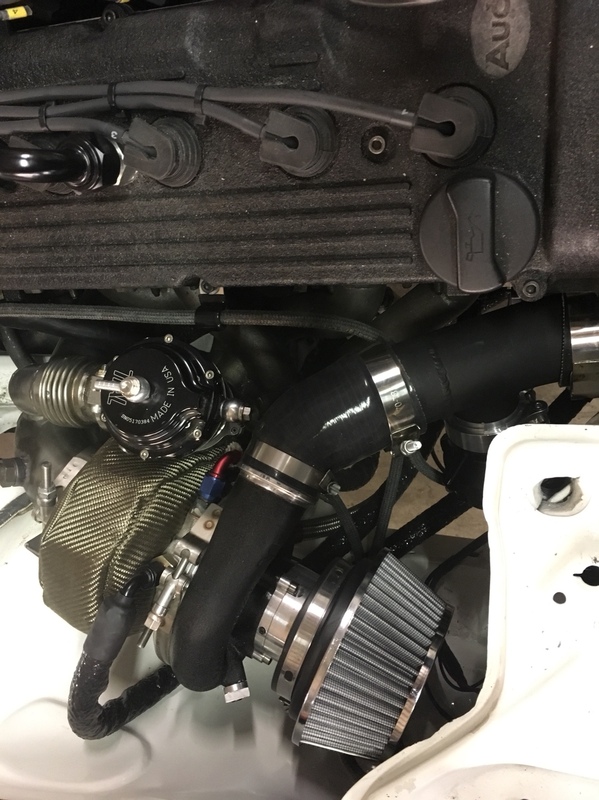 Installed pressure tap. Decided to keep it out of the turbo housing . Still many little things to do . 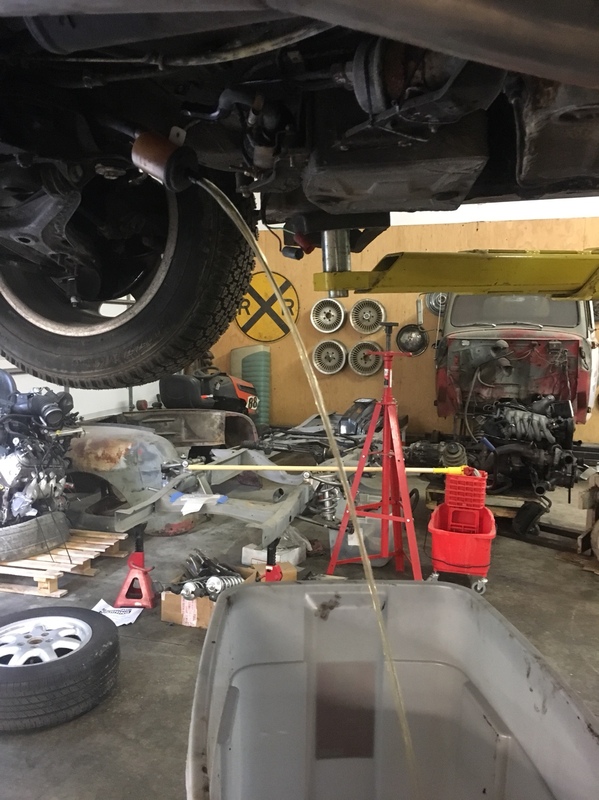 This weekend I think I’ll drain and refill the trans and diff . Need to finish a few things then add oil & coolant . 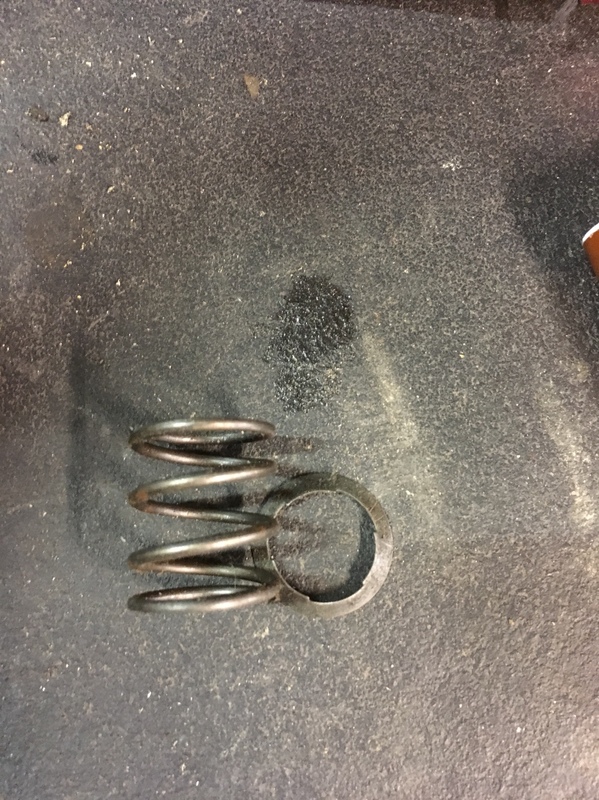 Your weld beads are looking goooood! The all black looks mean. I love it. Looks great, nice tight packaging. Any room to get that air filter farther forward? ringbearer wrote: Looks great, nice tight packaging. Any room to get that air filter farther forward? I could , or could run a different air filter . 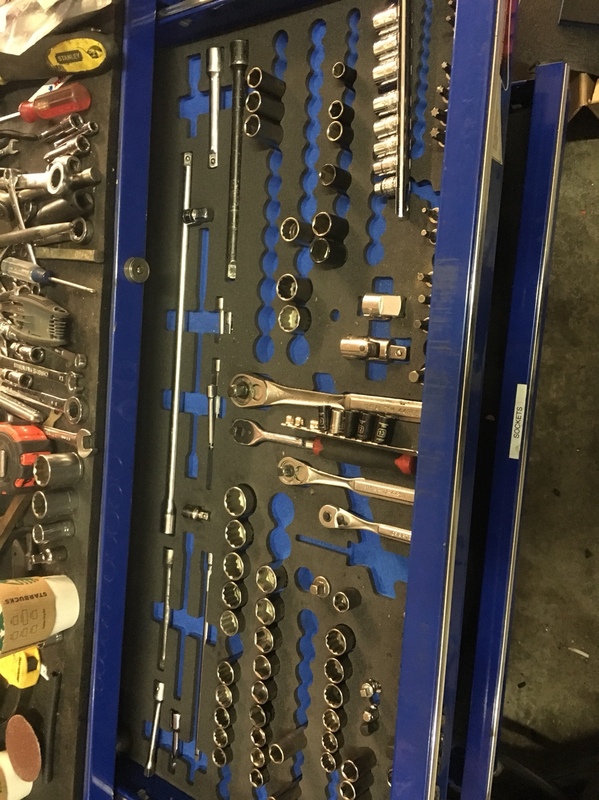 But I was thinking maybe I can do a box around it at some point . 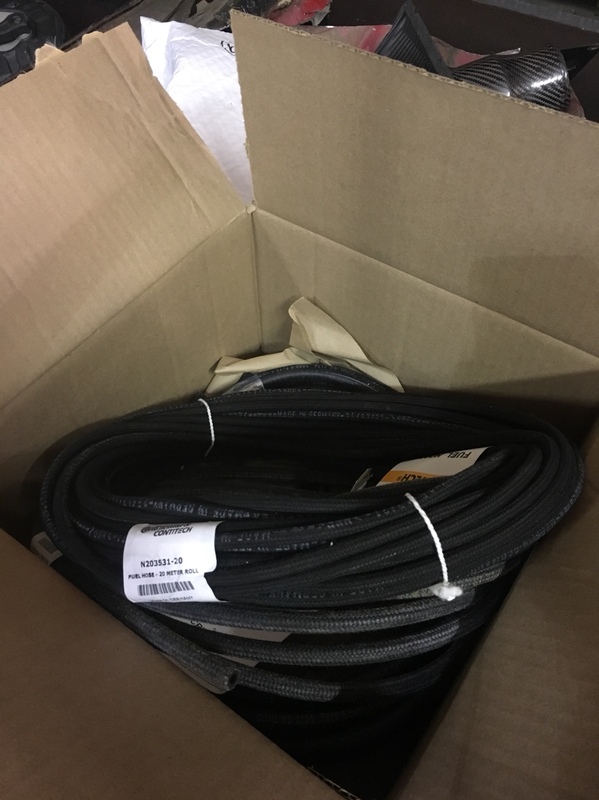 I have some carbon fiber ducts from Indy car, maybe I could incorporate those to sweep air up from the valence area ? 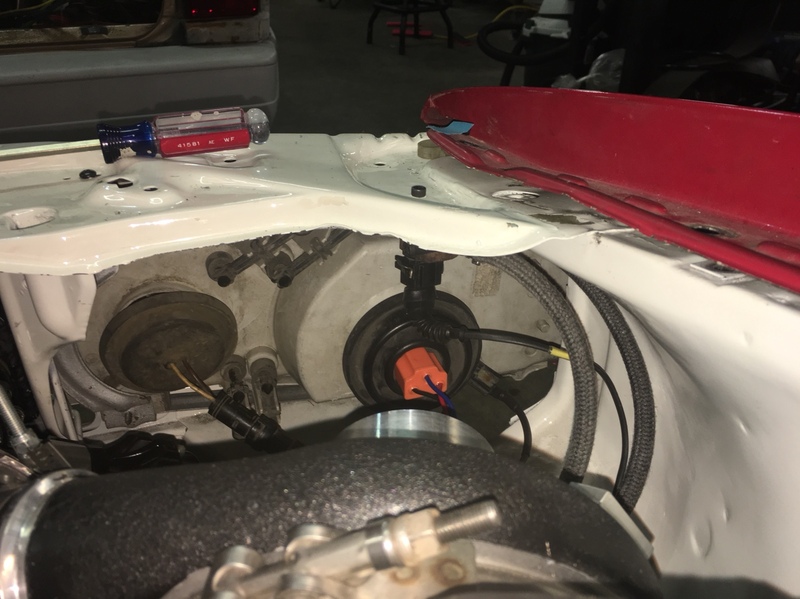 Working on getting the fuel pump in. 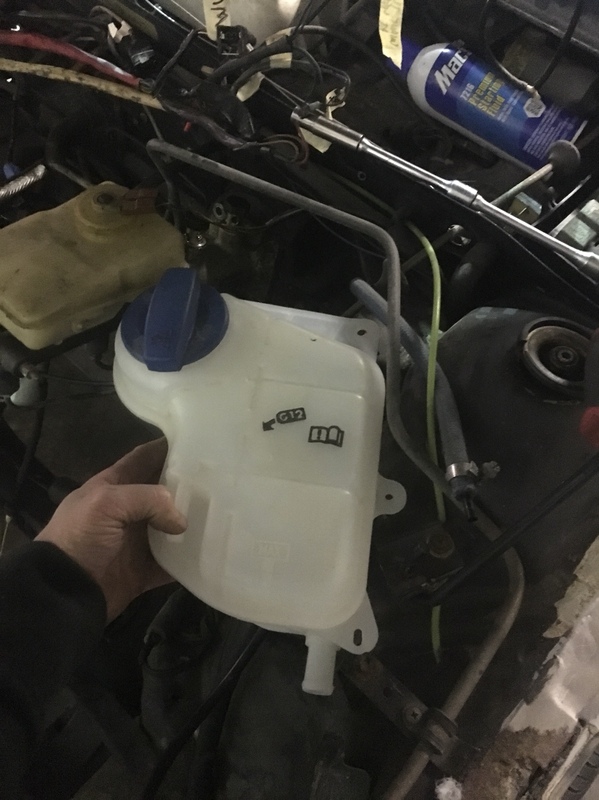 I am going to simplify a little bit under the car and have the pump with an new line out straight to the filter- which will delete the factory plastic lines and be braided high pressure line to metal.